Welcome to Aijaz Ahmad Sheikh and Hakim Mohammad Ilyas, leaders of Srinagar, Kashmir: City of Peace. 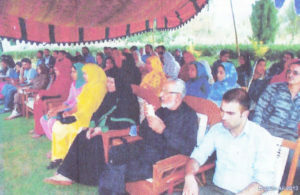 The group, under the leadership of the late Bashir Ahmad, established in Srinagar the SAMAD Peace Academy on SAMAD Island of Peace. The group has been involved in conflict resolution and nonviolence education and practice for a number of years. Presently there is a campaign to change the name of Srinagar to Shah-re-Kashmirr, or City of Kashmir. Audience and students at International Day of Peace celebration in 2013. In 2002, former US President, Bill Clinton described Kashmir as “the most dangerous place in the world.” The conflict between India, Pakistan, and Kashmiri insurgent groups has its roots in the 1947 withdrawal of Great Britain from their former colony. India and Pakistan conducted nuclear tests in 1998 and the two countries each hold significant numbers of nuclear warheads. India and Pakistan fought two wars over the issue of Kashmir in 1947 and 1965. These two neighbors came dangerously close to a third war during the Kargil conflict in 1999 and the conflict continues today. 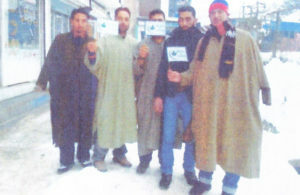 Kashmiri people displaying the peace flag. To develop an environment of peace in Kashmir. Make people aware of the benefits of using methods of nonviolence to accomplish peace with justice. 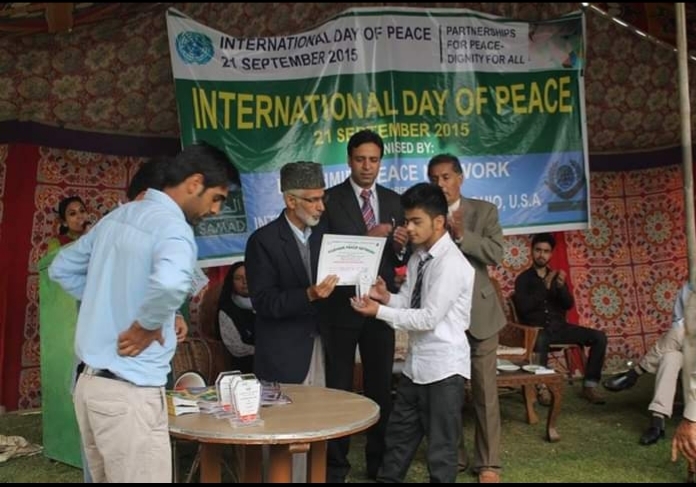 Student speaks on peace and prosperity in Kashmir. Help people develop a mindset of peace and nonviolence rather than violence being the only option. Participate in the annual Peace One Day… International Day of Peace on September 21 as established by the United Nations every year. Conduct seminars/workshops on Peace Leadership Training and through the Preservation of the Environment so that people can become Ambassadors of Peace. Demonstrate to the people around the world that Kashmiri people are really nonviolent and peaceful. The hotel on SAMAD, Island of Peace was damaged during flooding in 2014. The hotel was the center for the SAMAD Peace Academy. Aijaz Ahmad Sheikh completed his Masters degree and MBA marketing from Bangalore in the Oxford College of Management Studies in 2014. 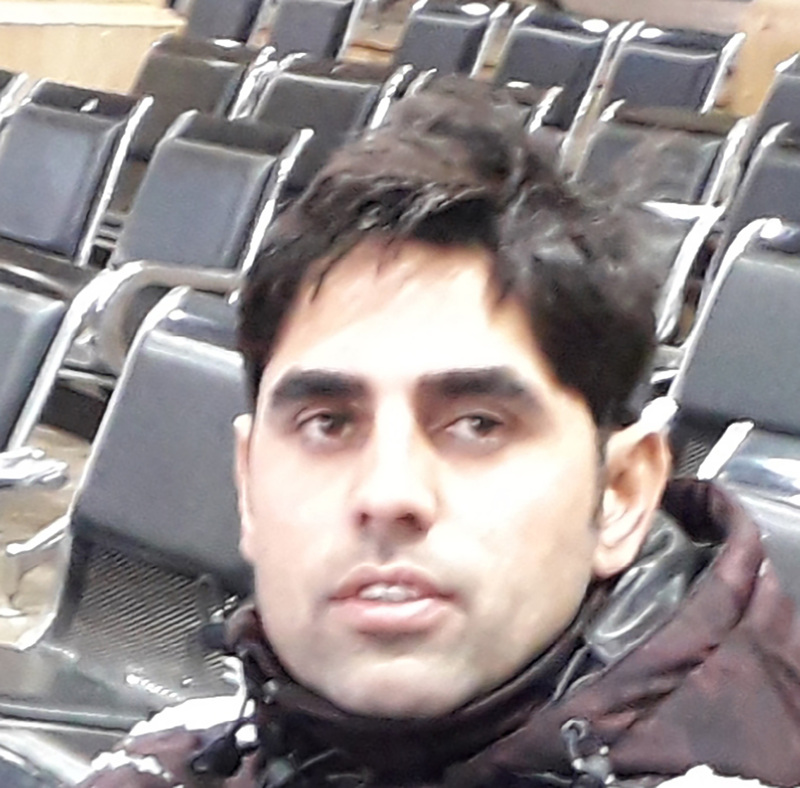 Aijaz completed another masters in Public Administration from University of Kashmir. After graduating, Aijaz was very much disturbed with the conflicts and day to day situation of Kashmir. He started an small organisation in his locality educating youth. In 2014 he met Mr. Bashir Ahmad and discussed peace and prosperity, after which Aijaz decided to work with Bashir to spread peace in Kashmir Valley. They started their journey together and approached people by visiting schools, colleges, and universities where they delivered lectures about peace, prosperity and dignity. 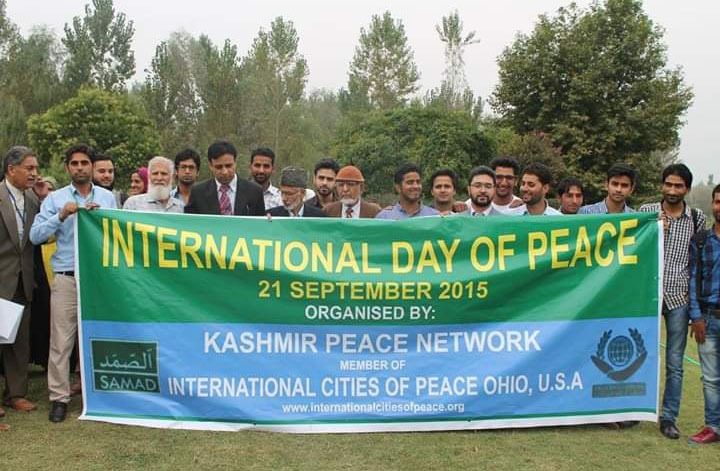 In Srinagar, their work focused on celebrating International Day of Peace on September 21st each year. More than 1000 people and students perticipated on those occasions and they had students of different schools and colleges to discuss and debate on peace. 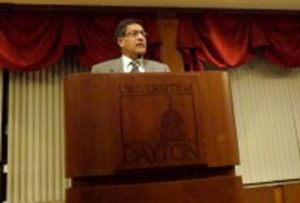 Bashir G. Ahmed was born in Kashmir and has lived in the United States for 47 years. He visits Kashmir often. He received his M.S in Engineering in 1968 and his MBA in 1971 from the University of Illinois in Champaign/Urbana He has worked as a Management Consultant for 37 years, including a 10 year management contract for the United States Air Force at the Wright Patterson Air Force Base in Dayton, Ohio. Along with three of his associates trained 6000 Air Force officers and personnel. He is often invited to speak on Islam, Islamic Affairs, the Middle East, Palestinian and Kashmir conflicts and Peace and Conflict Resolution. He is an active member of the state Islamic Affairs. He established the first Islamic School in Dayton, Ohio in 1985 and is the co-founder of the Islamic Council of Ohio, formed in 1987, when the Governor and the state legislature proclaimed the second Saturday in October as the Islamic Day in Ohio. He is a recepient of a Humanitarian award, a Peace maker Award from national organizations and a Community Leadership Award from the Dayton area Muslim organizations. He is a Trustee of the Dayton International Peace Museum. Network..Planting Seeds of Peace in Kashmir in 2011 and has since been taking part in the world wide celebration of PEACE ONE DAY…International Day of Peace on Sept. 21 at his Island Resort, SAMAD’S Island of Peace, in Nageen, Srinagar, Kashmir. It is a non-profit, non-political, non-party advocacy group, advocating Peace, Prosperity and Dignity for Kashmir and Kashmiris. He recently authored a booklet: KASHMIR: Self-Reliance & Resurgence, Through Faith, Hope and Peace. I have known Mr. Bashir A Kakroo (Ex US Airforce Consultant) closely since I had met him in 2006. His unique perception and the love towards his people made an everlasting impression on me. I have always been fond of people who choose love over violence. Because I think love doesn’t square with the world view. Love is about empathy, compassion and the unconditional bonds between the people. These values aren’t fuzzy or irrational, and humanity wouldn’t have come this far without them. Mr Bashir has been a peace activist for the last 29 years and he often spoke on the conflict resolution and the problems of the Muslim world. He received several Peace Maker and Non-Violence awards at international forums. he also received a Community Leadership Award for his leading role in developing and managing community projects. Mr Bashir says “Killings, violence, war are never an answer. To me, there is no conflict that cannot be resolved if the two parties are desirous.” Bashir was not allowed to come to India for 10 years because of his speeches, across the world, against killings of innocents in Kashmir. He often would say, “It never hurts to try”. I was working with Mr Bashir for over a decade now. In 2007, we collaborated with the various intellectuals of the valley and constituted “Care Kashmir International” the non-profit, non-political advocacy group that vowed to keep the Valley clean, and protect the environment. 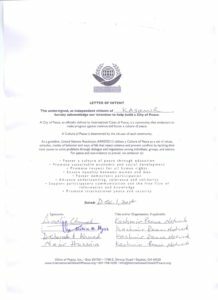 We together framed “Kashmir Peace Network” in 2011 Planting Seeds of Peace in Kashmir, which was later affiliated with “International Cities of Peace” a United Nations Sister concern organisation having its branches in more than 150 countries. 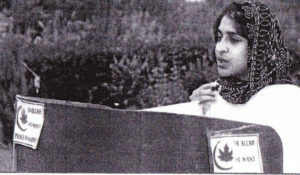 it was a non-profit, non-political, non-party advocacy group, advocating Peace, Prosperity and Dignity for Kashmir and Kashmiris. 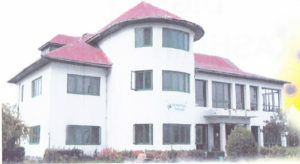 address social issues; provide youth with required education and skills and help them make a positive contribution to the society; empower women so that they can play an active role in building a peaceful and prosperous valley; provide free and confidential counselling to victims of various forms of violence and trauma; and to network with social organisations and other groups with similar objectives. Mr Bashir was always an aide to the students who needed support. He was closely linked with Ehsaas International Trust and was a helping hand to the meritorious and underprivileged students. His contributions have changed the future of many children, but his sad demise has left a lot of families in shock and they are worried about the future of their children. He was a visionary man and his plans were concrete. I have lost a friend and Kashmir an asset. May his soul rest in peace! Hakim Mohammad Ilyas is a Veteran I.T Professional by Vocation and a Pacifist by Avocation. He is an ambitious, self-motivated individual, peace worker and member of civil society – instilled with a shared sense of purpose to provide optimal services, resources and programs for those in need. Born in Srinagar, Kashmir Hakim was stalwartly born in the premier family of Physicians, Scholars and Intellectuals. 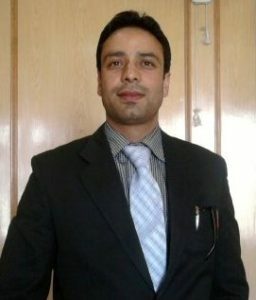 Hakim is the Grandson of Noted Physician, Hakim Qasim Ali, prominently known for establishing the prestigious Central Council of Research in Unani Medicines (CCUR) in Kashmir. Hakim’s great grandfather known as Hakim Himayoon Ali was the family physician of Great Mughal Empire. Due to which their family had developed very keen and affirmative rapport with the Great Mughals. Hakim gets the Bachelor’s Degree in Information Technology at University of Viniyaka Mission and Research, Tamil Nadu, where he passed with first division and has done advanced Diploma & Certificate programs in Cybercrime, Forensic Tools, Computer Graphics, Management & Public Administration. Apart from Academicals, Hakim has always been interested in promoting historic trend of peace, development and cooperation in Kashmir which he believes provides an unprecedented opportunity for the realization of peaceful and harmonious world development. Hakim is a prolific public person and motivational lecturer. He has been in the service of Technical Education Department, Government Polytechnic for more than 10 years, where he held various posts. In 2014, National Institute of Technical Trainings & Research (NITTR) declared the institution he has been working with as one of the best Institution in the Country. His contribution in Department and his unique leadership qualities were appreciated by the Ministry of the Technical Education. Hakim is backed by solid ground-zero practical work experience and his interests are multifarious and diverse. Srinagar lies in the Kashmir Valley, on the banks of the Jhelum River, a tributary of the Indus. The city is famous for its gardens, lakes and houseboats. It is also known for traditional Kashmiri handicrafts and dried fruits. Population is 1.5 million. Kashmir is the northwestern region of South Asia. Until the mid-19th century, the term Kashmir geographically denoted only the valley between the Great Himalayas and the Pir Panjal mountain range. 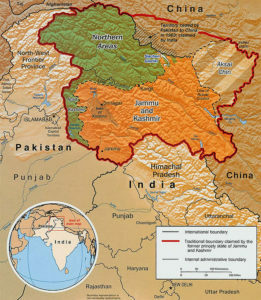 Today, it denotes a larger area that includes the Indian-administered state of Jammu and Kashmir (which consists of Jammu, the Kashmir Valley, and Ladakh), the Pakistan-administered autonomous territories of Azad Kashmir and Gilgit–Baltistan, and the Chinese-administered regions of Aksai Chin and the Trans-Karakoram Tract. The official languages of Kashmir up until the sale of Kashmir by the British to the Raja of Kashmir, were Persian and Kashmiri. Persian was phased out and Urdu was introduced. Presently the official languages are English , Urdu and Kashmiri. In the first half of the 1st millennium, the Kashmir region became an important centre of Hinduism and later of Buddhism; later still, in the ninth century, Kashmir Shaivism arose. In 1349, Shah Mir became the first Muslim ruler of Kashmir, inaugurating the Salatin-i-Kashmir or Swati dynasty. For the next five centuries, Muslim monarchs ruled Kashmir, including the Mughals, who ruled from 1526 until 1751, and the Afghan Durrani Empire, which ruled from 1747 until 1820. That year, the Sikhs, under Ranjit Singh, annexed Kashmir. In 1846, after the Sikh defeat in the First Anglo-Sikh War, and upon the purchase of the region from the British under the Treaty of Amritsar, the Raja of Jammu, Gulab Singh, became the new ruler of Kashmir. The rule of his descendants, under the paramountcy (or tutelage) of the British Crown, lasted until 1947, when the former princely state of British India became a disputed territory, now administered by three countries: India, Pakistan, and the People’s Republic of China. 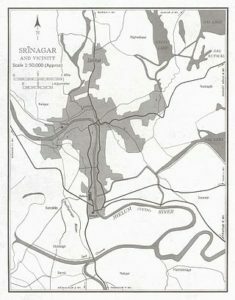 The Kashmir conflict is a dispute between the Government of India, Kashmiri insurgent groups and the Governments of India andPakistan and the people of Kashmiri over control of the Kashmir region. Although an interstate dispute over Kashmir has existed between India and Pakistan since the Indo-Pakistani War of 1947, there is also an internal conflict between Kashmiri insurgents—some in favour of Kashmiri accession to Pakistan and others seeking complete independence for the area. Several U.N. resolutions have endeavored to give Kashmiri citizens the right to decide their own future. In 2002, former US President, Bill Clinton described Kashmir as “the most dangerous place in the world.” He averted a nuclear war between India and Pakistan over the issue of Kashmir according to former US Deputy Secretary of State Strobe Talbott. Talbott reveals in his book “Engaging India: Diplomacy, Democracy and the Bomb” that India and Pakistan came very close to a nuclear war in 1999. According to Talbott, before Clinton met with Prime Minister of Pakistan, Nawaz Sharif in 1999 to discuss the issue, US national security adviser Sandy Berger told Clinton that he could be heading into “the single most important meeting with a foreign leader of his entire presidency”.